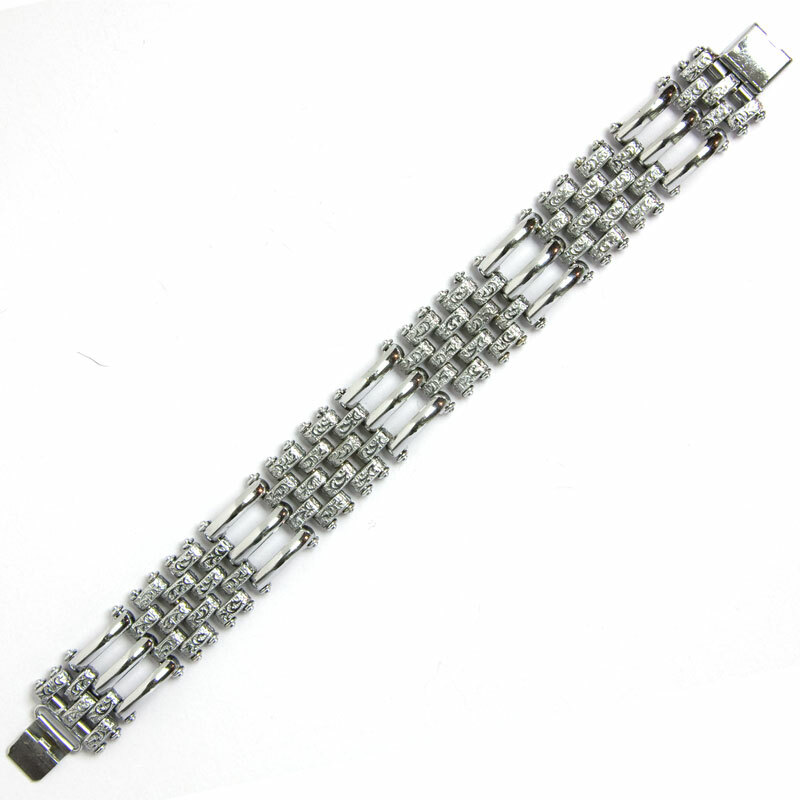 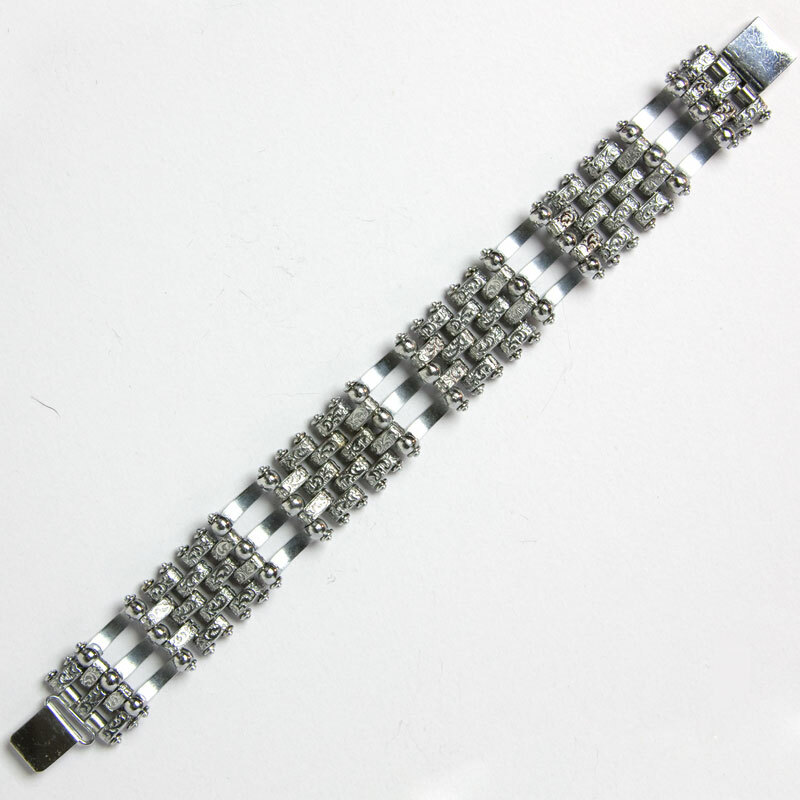 This chrome bracelet features a trio of curved, polished-chrome links that alternate with five rows of textured links. 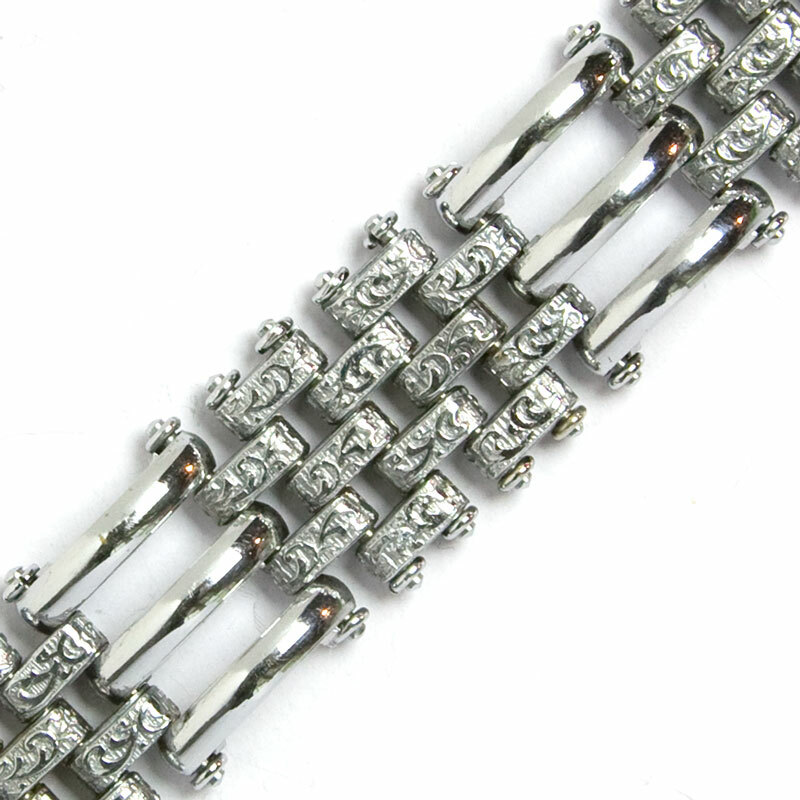 This piece, with a concealed clasp, is another example of Machine Age design that was inspired by radio or car grills. 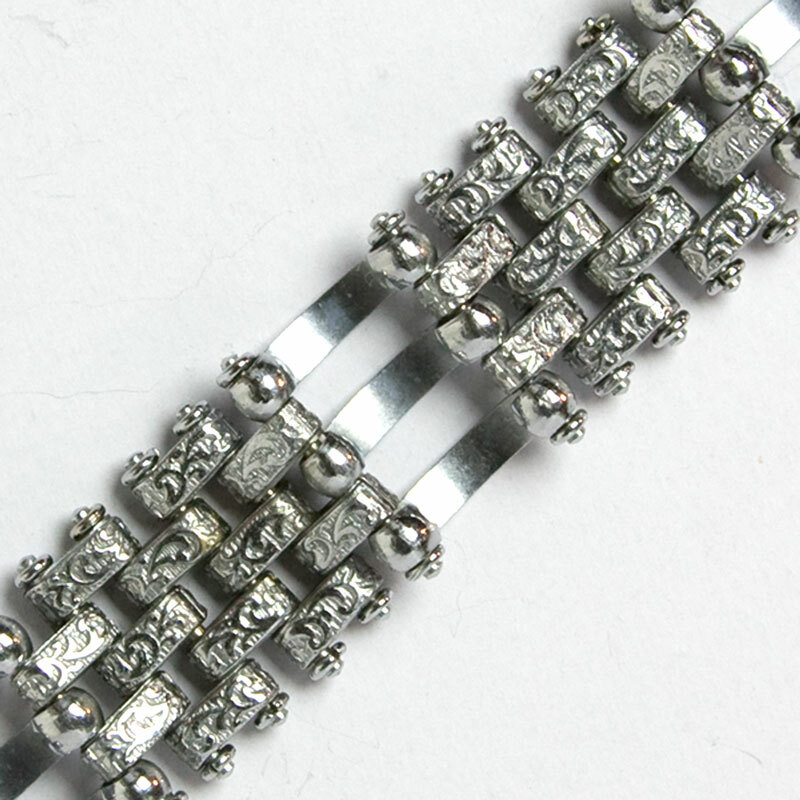 I think this wonderful and unusual bracelet is European in origin. 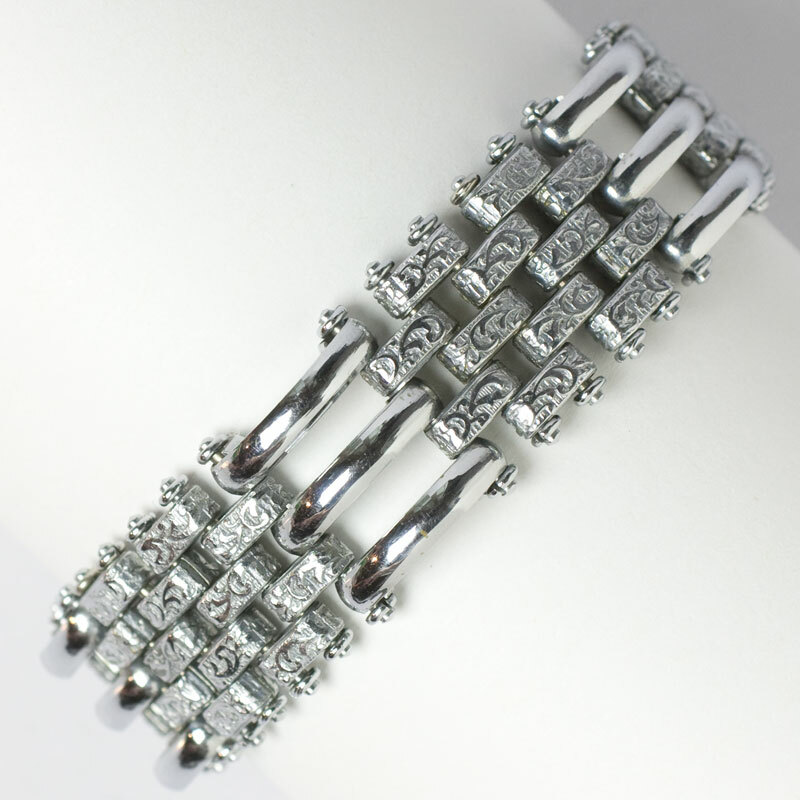 It goes with everything, and it’s perfect for a woman who looks best in cool colors!